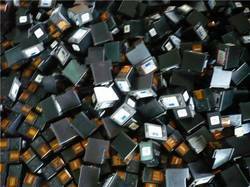 We are dealing in Scrap Cartridges, We buy all kind of scrap and empty cartridges. From the year of commencement of our organization, we are offering Printer Cartridges Scrap to the clients. We are able to manufacture Printer Cartridges Scrap, with the vast support of our team. At R M Traders we provide Printer Cartridges Scrap to our customers. We are a emerging Supplier of Printer Cartridges Scrap. 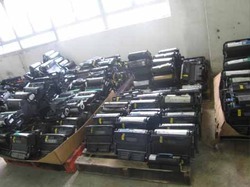 Our company is one of the major company who deal in Printer Cartridges Scrap. Our company is able to to manufacturing and supplying Printer Cartridges Scrap. We have established ourselves as one of the prominent wholesalers and retailers of a wide range of Printer Cartridges Scrap. We have been engaged in supplying quality assured range of Printer Cartridges Scrap.